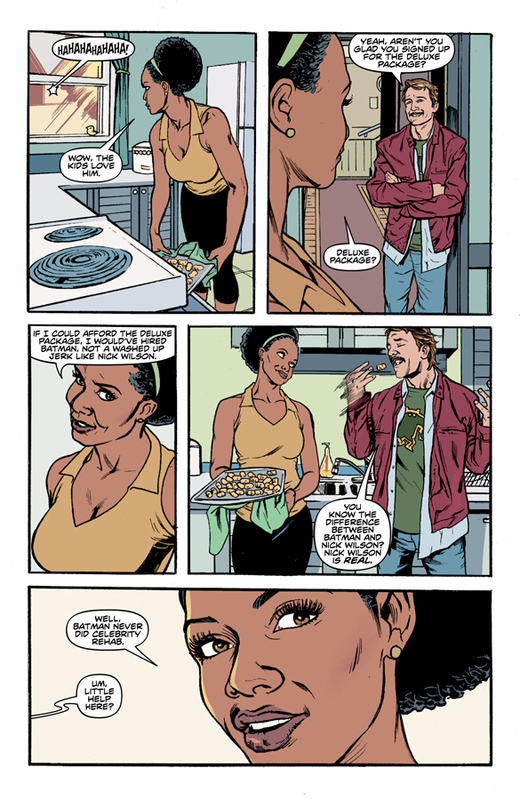 In the majority of comics you have to ask yourself, “What does it take to be a hero?” Nick Wilson is living with the fact that he used to be the world’s only living hero. It seems three years ago he lost his powers and landed in Cleveland. I haven’t quite figured out what “Adventures” Nick happens to be doing. Children’s birthday parties, single mothers, hanging out with an ex-girlfriend seems to be the extent of his story. He has a greedy agent who is still trying to make a buck off of Nick’s fame. The book is interesting in its casual approach to being super. Nick Wilson is an every man that we can all relate to quite well. He is simply trying to live his life. The art is really well done and has nice details. The book is colored with a nice sense of realism and not super heroic. The story has an ending that gives us a cliffhanger, leaving us interested to see where the story is going from here.